Bayaud Bathroom — Loomis Improvements Inc. This shower/tub surround had been repaired many times and was ready for a colorful facelift. We had a few challenges to face with this already short tub. The brick wall on the end had been chiseled out so the tub would fit. 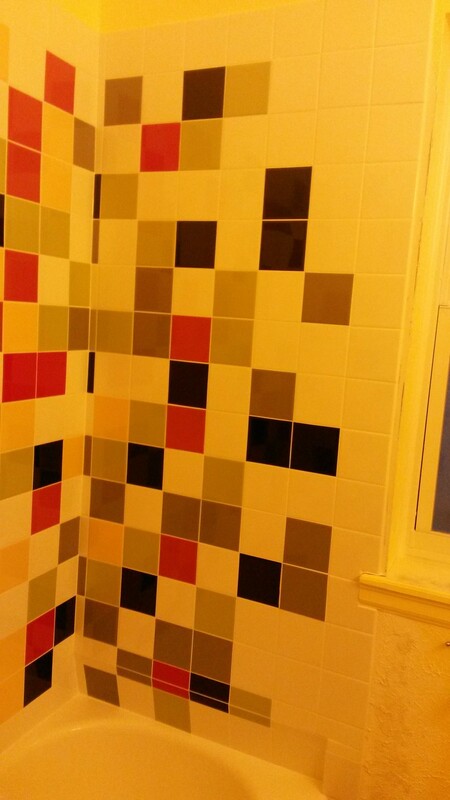 When it came time to tile again, we had to be quite creative. Again our client was the mastermind behind the colorful design. What a super fun project this was.